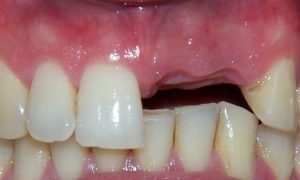 Losing your teeth can have a significant impact on your life, affecting your self-confidence, your speech and how you eat. A dental implant is a biocompatible titanium post which acts just like a tooth root to support natural-looking replacement teeth and offers a long-lasting way to fill any gaps in your teeth. We assess your teeth and gums to ensure you are a suitable candidate for implants. We take digital x-rays or ct-scans to check if you have enough bone volume for the successful placement of implants. If you don’t, you may need sinus and/or graft procedures. 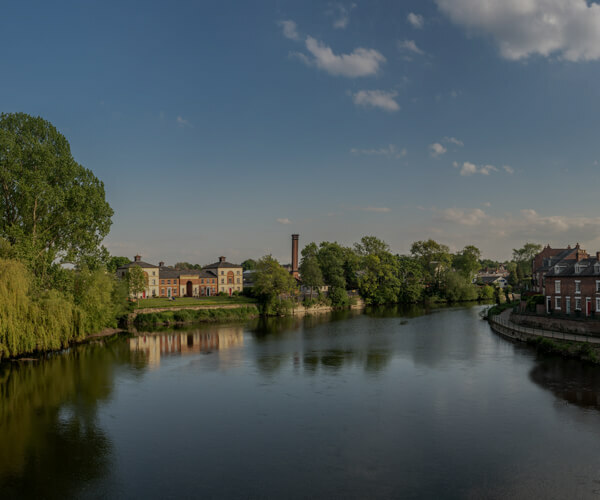 After administering a local anaesthetic, we carefully place the implant in the jaw and, over a few weeks, this will integrate with the surrounding bone. The healing period can vary between individual patients and also depends on bone quality. When fully healed the replacement teeth can be attached to the implant fixture using connecting screws. 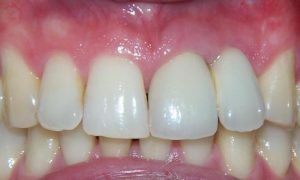 These will either be crowns or bridges, which stay securely in place, or dentures, which can be removed for cleaning. If you look after your implants properly and attend regular check-ups, dental implants can last for years. Our hygienist can provide implant maintenance treatment and give you advice on how to care for your implants, so they remain functional for as long as possible. 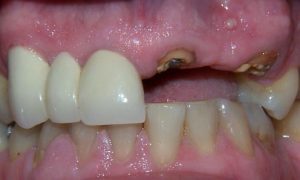 However, there are some lifestyle factors and health conditions that may increase the risk of implant failure such as smoking, drinking alcohol, gum disease, teeth grinding (bruxism) and diabetes. The average lifespan of dental implants is 10-15 years. This 45 year old patient fractured his bridge and was treated at our practice with dental implants. 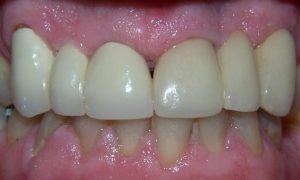 This 27 year old patient did not want to wear a denture and was treated at our practice with dental implants.